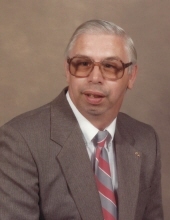 Celebrating the life of James Floyd Ellis, Jr.
Obituary for James Floyd Ellis, Jr.
James Floyd Ellis Jr., 68, passed away on Monday, January 21, 2019 at Duke University Hospital. He was born in Durham to the late James Floyd Ellis and Lillie Mae Thomas Ellis. Mr. Ellis loved the Lord and attended Gorman Baptist Church for over 30 years where he sang in the choir. He was also a member of Olive Branch Baptist Church for 10 years. He loved Duke University sports. Mr. Ellis enjoyed reading, building model airplanes and model cars; he had a passion for traveling and history. Mr. Ellis is survived by his sisters, Linda Yarborough (Tommy), Mary Cunningham (Randy); step-mother, Marinis B. Ellis; step-sisters, Casey Kern; Carrie Brown; step-brother, Cory Becknell; and aunts, Ellen McFarland, Juanita Johnson; and numerous cousins, nieces and nephews. He was loved by everybody who knew him. He will be especially missed by his extended family at the Group Home. A memorial service will be held at 11 a.m. on Friday, January 25th at Clements Funeral Chapel in Durham with Pastor Tim Wheeler officiating. In lieu of flowers, the family requests that memorial donations be sent to The American Cancer Society at 250 Williams St NW Atlanta, GA 30303. To send flowers or a remembrance gift to the family of James Floyd Ellis, Jr., please visit our Tribute Store. "Email Address" would like to share the life celebration of James Floyd Ellis, Jr.. Click on the "link" to go to share a favorite memory or leave a condolence message for the family.